Cymbal bag 22" with 4 pocket for cymbals 14"- 22" GRAFT. ..
Professional cymbal bag 16" with extra pocket, MEINL. ..
Cymbal case TEAM "CNB". ..
Professional cymbal bag 22" MEINL. ..
Cymbal bag 22" with 18 pocket for cymbals 14"- 22" ΤΑΜΑ. ..
Professional cymbal backpack 22" with two backpack straps MEINL. ..
Professional cymbal bag with stick bag 22" MEINL. 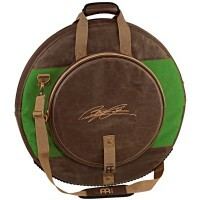 ..
Benny Greb Signature symbal bag 22" with two external compartements MEINL. ..
Cymbal bag 22", TROLLEY MEINL. ..